Your answers to the following questions help us assess your situation and prescribe the best course of action, so please provide as much detail as possible. Please be as descriptive as you can - there's no such thing as too much detail. Include any error messages if applicable. Accepted file types: jpg, jpeg, png, gif, pdf, doc, docx, txt, html, htm. Want a discount? 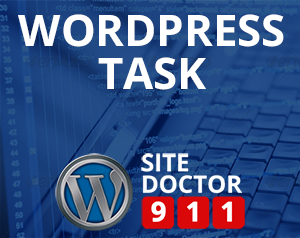 Sign up for a WordPress Support Plan.